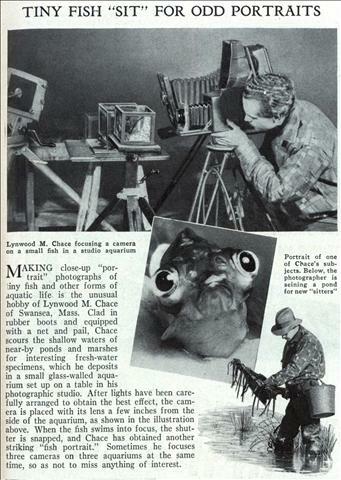 MAKING close-up “portrait” photographs of tiny fish and other forms of aquatic life is the unusual hobby of Lynwood M. Chace of Swansea, Mass. 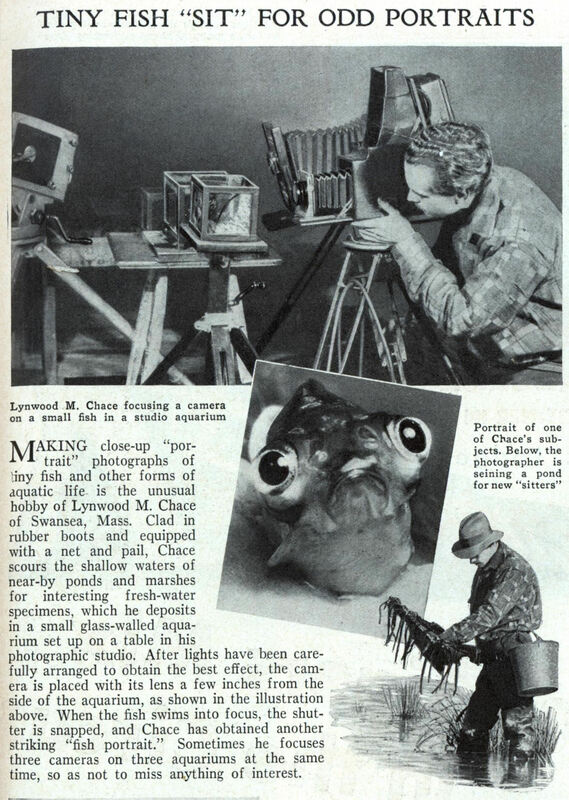 Clad in rubber boots and equipped with a net and pail, Chace scours the shallow waters of near-by ponds and marshes for interesting fresh-water specimens, which he deposits in a small glass-walled aquarium set up on a table in his photographic studio. 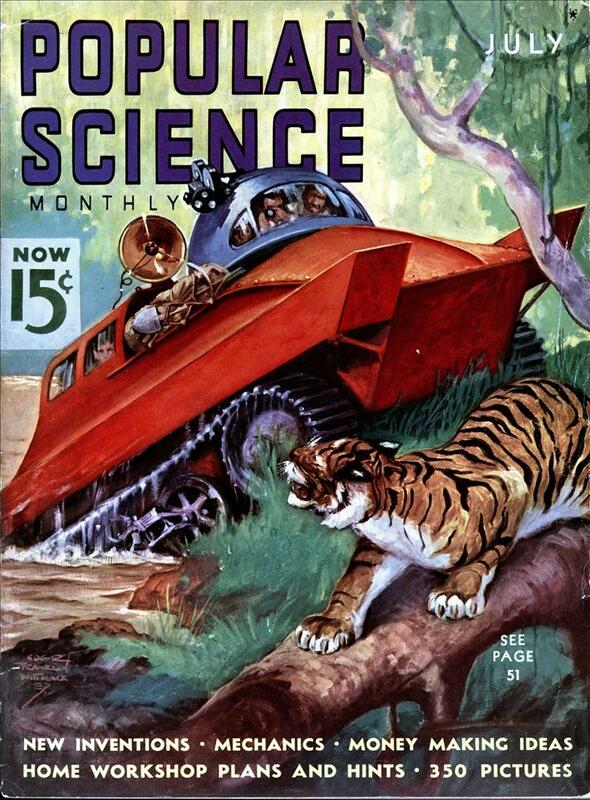 After lights have been carefully arranged to obtain the best effect, the camera is placed with its lens a few inches from the side of the aquarium, as shown in the illustration above. When the fish swims into focus, the shutter is snapped, and Chace has obtained another striking “fish portrait.” Sometimes he focuses three cameras on three aquariums at the same time, so as not to miss anything of interest.